Lego Star Wars Club brings to you today a review one of 2008's most classic, sought-after sets of LEGO's Episode IV-VI line of products. This simply amazing set hit stores in the US on June 21, 2008 and the UK a week later. The Death Star set incorporates over 20 minifigures in 11 classic scenes from episodes IV and VI including 6 minifigures found exclusively in this set - the perfect set for timeless reenactments of your favorite scenes in the Star Wars saga. This unparalleled product has been rated an exceptional 4.8 out of 5 on LEGO's website, and a 4.9 by us. Indulge yourself in this one-of-a-kind review of a one-of-a-kind set. With its high-quality, multi-dimensional, easy-to-build design, and over 3800 pieces (each piece averaging just under $0.105), the Death Star is a masterpiece for LEGO, and a perfect gift for LEGO fans who dream of a play-set that is unprecedented at this level. 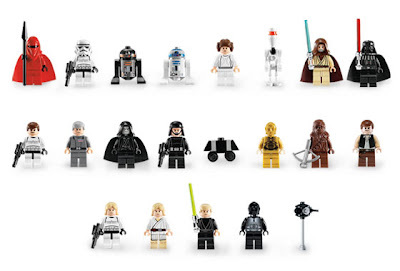 It's simply amazing design structure, a large array of rare minifigures including a redesigned R2-D2 and C-3PO, three Luke Skywalkers, and an uncountable number of exceedingly unique parts and play features all make this one of the best products that has ever left the LEGO Star Wars line of production. Every time you look at the Death Star, you'll notice the smaller, more minute details that make this worth your while, such as the garbage room, or the Superlaser controls. With the Death Star, your LEGO collection will really come to life! 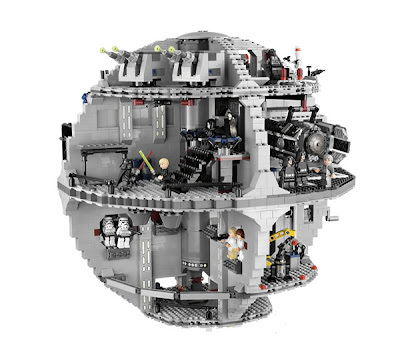 The 10188 Death Star set utilizes a few new building techniques for the overall building of the spherical shape, but still follows a straightforward build pattern for the individual room structure. Although a few parts in the various rooms may require a swivel pieces and even the occasional adjustable angler, it is a pretty simple build for most who can follow step by step instructions. Generally, the hardest part about building the Death Star is its structural design frame, and making each room fit together properly in the end. Overall this set is a moderately difficult build and has acquired the difficulty level of ages 12 and up. The best play feature of the Death Star is the entire set itself. Every room and section of this set can be used to recreate classic scenes from LEGO Star Wars: The Complete Saga, and the original Star Wars movie, such as rescuing Princess Leia with Luke, swing across the chasm, and then drop down into the trash compactor with Han Solo and Chewbaca. The smaller things in the Death Star such as the rotating turbo lasers, superweapon, and the miniature Darth Vader’s TIE all add to the playability of the Death Star making it a simply fabulous play-set. There are many great individual parts of the Death Star including the superlaser, the R2-Q5 crane, the uncountable number of minifigures, and the mini TIE Fighter, but there really isn’t a best one—without a certain part as the Death Star wouldn’t be the Death Star. For example, if the Dianoga monster weren’t there, the trash compactor room wouldn’t be complete, and if the Control Room weren’t there, the Death Star wouldn’t be operational. Although there are a lot of good parts in the Death Star, they all need one another to amalgamate to form one great thing: the Death Star. Each and every of the Death Star’s various rooms is like its own miniature set and presents different yet classic scene from one of the movies, and introduces a few minifigures. In each of the 11 rooms of the Death Star, you can experience more fun and action than with any previous LEGO sets ever before! The Death Star has tons of parts that are both high in value and extremely collectible. Overall, the most collectible parts of the Death Star is its over 20 minifigures including Emperor Palpatine, Darth Vader, Ben Kenobi, Chewbacca, Han Solo, and Princess Leia all in different forms from different episodes in the Star Wars saga. Also there are even more collectable minifigures such as the extremely rare Death Star Trooper, which is highly sought after and only available in this set, and the upcoming 2009 set, "Endor Base". These minifigures, although a small piece in this extremely large set, has an extremely high value when collected separate or bought together. The minifigures add a lot to the overall collectability of this set, which, even without the minifigures, is already quite collectable for any average collector however expensive it may be. Other great features that make the Death Star even more sought after include various room designs, the superweapon, and the new Darth Vader’s miniature TIE advanced. 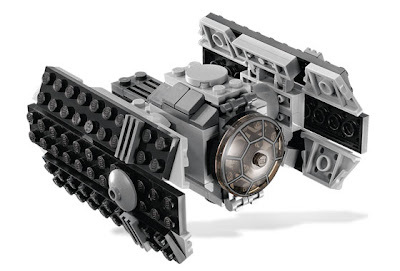 Overall the 10188 Death Star is one the most collectable LEGO items on the market. The Death Star has a high-quality, excellent display value. With a priceless design, and a glimpse at a fully operational LEGO Death Star, its display value makes up much of the set’s $400 cost. In each room, a timeless scene is recreated right before your eyes with a simply marvelous display never seen before by LEGO together, and since the Death Star has eleven different rooms, it has almost eleven times the display value of your typical LEGO Star Wars set (though 11 times the cost of your typical LEGO Star Wars set). When all eleven rooms come together to form the Death Star, its display value increases even more! Whether you’re purchasing the Death Star for you child, friend, or even yourself, I highly recommend this product because of its appearance and display value. As the 10188 Death Star possesses an innumerable amount great features, qualities, and design traits, its value, mostly stored in its parts and display, is sure to escalate in the coming years as LEGO begins to shut down the production and distribution of the Death Star. 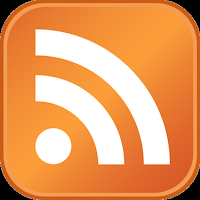 As it has an extremely low resale value though while it is still in production, though you can be even more assured that, if you’re in for the profit, its value will definitely increase, soaring up to values 500 plus dollars. As it is a LEGO Star Wars classic set, we recommend keeping the Death Star in your possession for several years, for it is only then that you can start looking at reasonable profits. In general, the Death Star is currently one of the best sets to buy if you’re looking to make a decent profit in the distant future. The minifigures in this set adds great quality, playability, and display to this set, but the most prominent addition the minifigures bring to the Death Star is the additional value. A few of the best and most rare minifigures of the Death Star are Darth Vader, Emperor Palpatine, Luke Skywalker, Chewbacca, Princess Leia, and Ben Kenobi. The minifigures also add to the playability of the set. For example, you can call a meeting in the Imperial Conference Chamber and invite Darth Vader, Grand Moff Tarkin, and the Emperor, then have Luke, Leia, and Han rush in and save the day. Even the less valuable minifigures such as the Stormtroopers and Droids can be important to the overall playability and resale of the Death Star. Overall, the number of minifigures, and the variety of them are what makes this set so playable, and so great for LEGO investors and collectors. Of the many great things about the 10188 Death Star, the best thing about it is its playability. 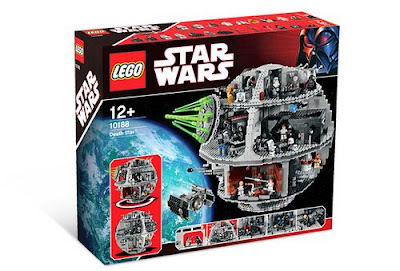 It includes many features such as 24 minifigures, various rooms and scenes, and valuable parts, all which increase the Death Star’s overall playability. Also, when factoring in the set’s price per piece ratio, awesome display, and design structure, the overall set’s physical value is extremely high relative to many other LEGO sets of its caliber. Though there aren’t many areas for improvement of the Death Star, only a few are noticeable. The first thing about the Death Star is its slightly complicated build pattern and design for younger children. For one, spherical shapes are generally rather a difficult build, and second, every room must fit together perfectly with the other rooms for it to fit together properly. Because of this, the set has been appropriately assigned the difficulty level of 12+. Another thing that LEGO could have improved on was to include some kind of outer covering, that could enclose all of the rooms and make the Death Star look, well, like a Death Star instead of a gigantic play-set (which it is). This would greatly increase the overall interest of it as a display set, and could provide another way for this set to be even more versitile. The last thing that LEGO seems to not take into account when designing such a large scale set such as this is the average buyer price standard. Most buyers will not shoot for such a high price when looking for a gift for someone else or themselves, and upon seeing the price tag, most, if not all will turn away to a cheaper, more affordable product, most cases not LEGO. Though the piece to price ratio is very good, $500 is still $500, and money spent is still money spent. Overall, besides a slightly difficult build pattern, and the price, there are very few downsides to this set. As this review begins to come to a close, consider all the great parts, the amazing features, the collectibility, the display value, and the resale value, of the Death Star itself. 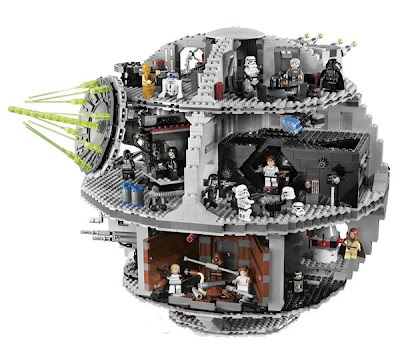 Whether you’re buying it for your child, a friend, or even yourself because of any one of these reasons, the 10188 Death Star is definitely worth it. In this review, Lego Star Wars Club brings you LEGO's first "Expanded Universe" ship - the 7672 Rogue Shadow. This set, pulled right from the Star Wars expanded universe and the new video game, "The Force Unleashed", is a combination of a radical new Star Wars era and the fifth best toy in the world, LEGO! The set itself contains the unorthodox Rogue Shadow and three extremly rare minifigures that have never been seen in LEGO before: battle damaged Darth Vader, Juno Eclipse, and the powerful Galen Marek, also known as Starkiller and Vader's apprentice. This is a rare set for LEGO, because it is the only LEGO set completely from the expanded universe. With an odd shape and size and devastating power, the LEGO Rogue Shadow is one of a kind in your collection of Star Wars LEGOs! It includes 482 pieces for only $49.99! It has three rare minifigures, including a new battle-damaged Darth Vader and the all-new Starkiller! To some, the Rogue Shadow may look like a hybrid of a TIE-advanced starfighter, a Y-wing starfighter, and a TIE-fighter. Then again, the Rogue Shadow is an Imperial test starfighter with an experimental cloaking device - a device that allows a ship to disappear from sight and from sensors. With the Rogue Shadow, you can hunt down Jedi like never before! The LEGO Rogue Shadow is a fairly easy build if you have build one or two sets in the the past. The ship itself uses an intuitive build method that allows the odd, unorthodox wings to attach to the main body. It also uses some bricks not commonly found in most Star Wars sets. Most Star Wars ships are relatively symmetrical. This is the complete opposite with the Rogue Shadow. It has an odd body shape that seems wrong when you build it, but really is right. It sometimes can throw the builder off. The best part about building this set is seeing where are the secret weaponry and features go. This ship is loaded with surprises. After all, it is a prototype ship in the Imperial navy. There are hidden missiles, flick-fire missiles, and much more hidden within the ship. As good as it seems, there are problems associated with the general design of the 7672 Rogue Shadow. On my opinion, the color scheme is relatively bland, with black as the prominent color. Then again, this is supposed to be a stealthy ship. Also, there isn't sufficient room to house both Starkiller and Juno Eclipse within the ship, and side panels fall off easily. As usual, the flick-fire missiles don't always stay where you want them to. If you have read, learned, or played Star Wars: The Force Unleashed, you know about a third creature involved with Starkiller and Juno. They have a droid, or rather Darth Vader does, called PROXY. This droid plays a large roll in Starkiller's story. This set is a set that tries to please both collectors and kids. The playability of this set is very high because of all the things you can do with it. There are many weapons, from rockets to blasters, to take on the rest of your LEGO collection! For one, there is a special lever that activates a hidden missile. Also, there are flick-fire missiles mounted on the ship. The only problem with these, as mentioned before, is that they fall out all too often, and are annoying to put back. A nice part about the ship is that the side 'wings' fold up for landing. The wings also attract the attention of onlookers because of their odd shape, as we will talk about in Display. There are also smaller features like how the roof opens up that really add to the playability of this set. The overall playability of this set is a moderate 6, because it might not be the best 'swoosh' set for kids under seven. Despite the low amount of minifigs included with this set (3), they are all very rare and have not been produced by LEGO ever before and therefore compensate for the statistically low amount. The torso design is characteristically true to the original characters from the Star Wars expanded universe. Minifigure collectors and most other collectors will really want this set because of this, and later these minifigures can amount to a large sum of money. The battle-damaged Darth Vader is also a nice addition to anyone's set, though I still prefer the normal Darth Vader over the battle-damaged one. The minifigures really add to the overall value of this set and also adds some much needed playability. If you are buying for rare pieces, this is not the set for you. If you are looking for an odd way to put common pieces together, look no further. This ship is just about the oddest creation LEGO has ever made in their Star Wars line. Its asymmetrical design and irregular wings make it a great set if you are going for a true rarity. The amount of black pieces also makes for a nice scrap set that can be added on to a variety of LEGO Star Wars and other LEGO sets. 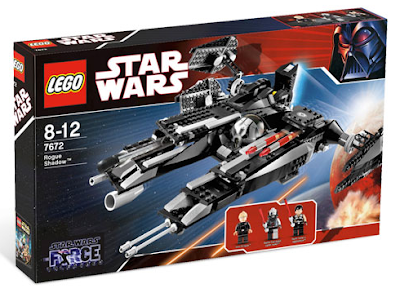 The Rogue Shadow includes some cannon fire type missiles, which have been discontinued in 2009 LEGO Star Wars sets and also in most other sets. These missiles are somewhat rare and are a great addition as a hidden gun on a ship or just a large turbo-laser cannon on a base. It features, many weapons including flick-fire missiles which also are easy to implement on various structures and vehicles. Since this set is from the expanded universe, it is moderately collectable, though it is not as largely known of a ship as an X-Wing or a Y-Wing which were widely made popular from many popular scenes in Star Wars such as the Trench Run. The Rogue Shadow is made even more collectable because of its high display value as a ship and because of the addition of the battle-damaged Darth Vader, Juno Eclipse, and Darth Vader's Apprentice. In the end, this set does not have many collectable features besides its never-seen-before minifigures and odd design, and collectors should think twice before buying this set to add to their collection. The Rogue Shadow as mentioned before in the Collectibility section has a moderately-high display value because of its sleek black design and its irregular and odd shape. As with most other LEGO Star Wars sets, the Rogue Shadow cannot be as good when on display without the minifigures than if it has the minifigures. Also as with most other LEGO Star Wars ships, the Rogue Shadow lacks a display stand or placard, though these can be easily put together with scrap parts and with a simple print-out pasted on a upright baseplate. The Rogue Shadow is mainly black which is a great attractor to dust, so when you are thinking about putting this set on display, be sure to buy or create a display case to shield it from the dust. Right now, you wouldn't be able to resell the 7672 Rogue Shadow for much. But, as normal, If you wait for production to stop or for the minifigs to become even rarer than they are, then you can get a decent profit. Because of the minifigures, this set will be worth at least $80 US dollars in a year. In two years, the minifigures alone could sell for a minimum of $20 to a nice sum of $100! Although these numbers seem nice, the truth is that this set will not make you as much money as other LEGO sets that you could buy for the same price. Besides the minifigures, this set has little to nothing else to offer as a profit generator, and because of this your money could be better spent on other LEGO Star Wars sets. 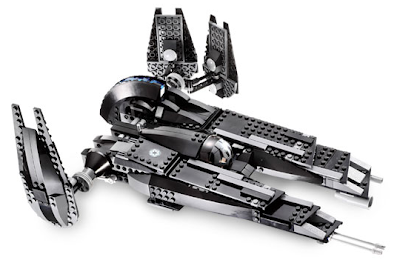 As you can see, the Rogue Shadow is unlike any other LEGO Star Wars sets that LEGO has produced. Because of this, we can safely conclude that the Rogue Shadow will be a great gift for most children and display collections. 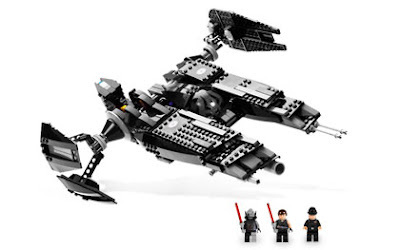 This set might even be a great gift for yourself, and just think, LEGO may never produce another version of the Rogue Shadow or another version of a battle-damaged Darth Vader again!